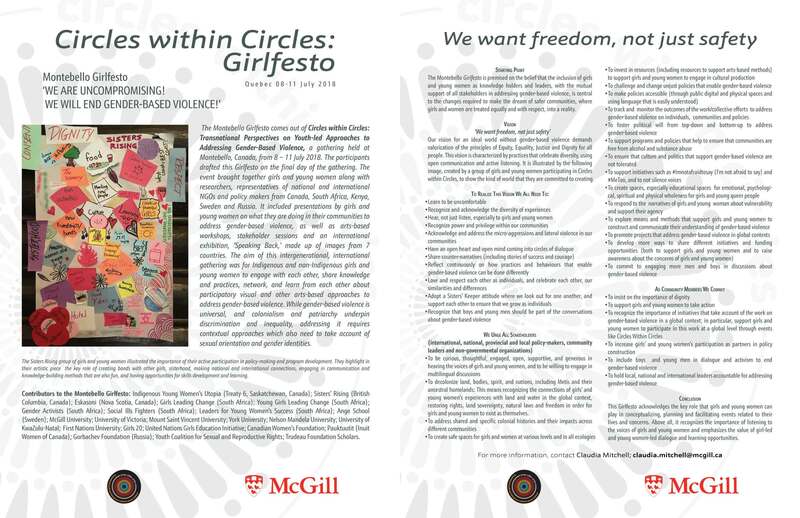 In July 2018 girls and young women from across Canada, South Africa, Sweden and Russia came together at Circles within Circles, Montebello, Quebec and raised their voices against gender-based violence. Three days of sharing, art-making and engagement produced the world’s first Girlfest. 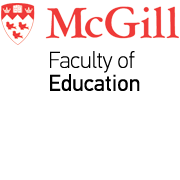 Over the next 16 days we will be sharing artwork produced by girls and young women from Canada, South Africa, Sweden, Russia, Kenya & Ethiopia as part of the Speaking Back: Youth-led Perspectives on Combating Sexual Violence Art Exhibition. We invite you to engage with our activity during the campaign on Facebook, Instagram, and Twitter help share our Girlfesto, and also post your own images and messages of activism using the #Girlfesto and #MYActionsMatter hashtags. Here are some shareable texts that you may find useful when sharing the Girlfesto. Girls from across Canada, South Africa, Sweden and Russia demand action to end Gender-Based Violence in the first ever #Girlfesto.